A final transcript is required from each college or university attended, whether or not credit was earned or courses completed. Failure to provide information regarding each college or university attended or failure to submit transcripts may result in withdrawal of any offer of admission, restrictions on registration and/or dismissal from the College. The College of Charleston will not release copies of education records/transcripts received from previous institutions and/or copies of test scores submitted from testing agencies. The College of Charleston requires the relevant academic program director (or director’s designee), or the relevant dean (or dean’s designee) for a discipline or interdisciplinary program not currently represented at the College, to determine the suitability of course credit earned elsewhere for transfer to the College. Disputes over transfer credit determination may be appealed in writing to the Provost (or the Provost’s designee) no later than 15 days following receipt of the transfer credit evaluation. The decision of the Provost is final. Coursework over ten years old may be subject to an additional review to determine if transfer credit will be awarded. The maximum number of transfer credits acceptable toward a College of Charleston A.B., B.A., or B.S. degree is ninety (90) credit hours, including all credits earned by examination (e.g. Advanced Placement, International Baccalaureate). The maximum number of transfer credits that may be applied to the requirements for a College of Charleston B.P.S. degree is eighty-seven (87) credit hours, including all credits earned by examination. The maximum number of transfer hours earned at a two-year institution that may be applied to the requirements for all College of Charleston bachelor’s degrees is sixty (60) credit hours. Students may decline transfer credit in order to add another transfer course(s) without going over the maximum hours of transfer credit allowed. Students may also decline transfer credit in order to take a course at another institution as a transient or cross-registered student. Coursework completed at other institutions must have a minimum grade of “C” (2.000 on a 4.000 scale) to be awarded transfer credit. Courses graded on a pass/fail basis are acceptable only if the institution where the courses were completed indicates in their published grade scale information that a “Pass” grade is the minimum equivalent of “C” (2.000 on a 4.000 scale). Credit hours awarded will reflect the hours of credit the other institution would have awarded the course, however credits awarded at another institution as a result of placement testing are not acceptable. Grades do not transfer, only credits; therefore, students will enter the College of Charleston without a grade point average (GPA). Credits awarded at another institution as a result of placement testing are not acceptable. In addition, the College of Charleston does not award transfer credit for life experience, work experience gained prior to admission, military training, and/or non-credit bearing coursework completed toward a professional certificate. 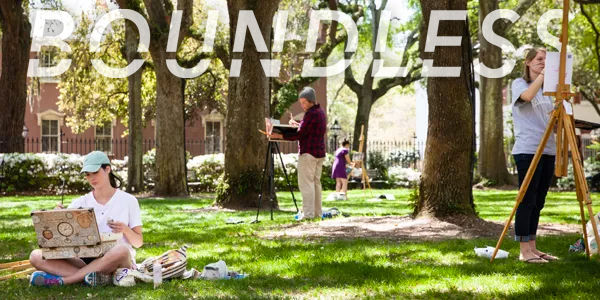 The College of Charleston does not give academic credit for noncredit course work and does not accept non-credit coursework, certificates or continuing education units for credit. Students offered admission to the College of Charleston may use Degree Works to view an updated list of awarded and pending transfer credit. The “Term by Term History” link in Degree Works provides the best view of transfer credit, although the information is also visible in the degree audit area. Students with transfer credit or credit by examination (AP, IB, CLEP) should not register for or complete a course that is considered a repeat or a duplicate of the credited coursework. Credit will only be awarded once when a course has been repeated or duplicated. A student may petition the Registrar’s Office, with approval of his or her advisor, to decline transfer credit or credit by examination. Petitions must be made before the course is repeated. Scholarship students (academic and athletic), financial aid students, and veterans must check with the Departments of Financial Aid or Athletics to see how the application of this policy will affect their eligibility. 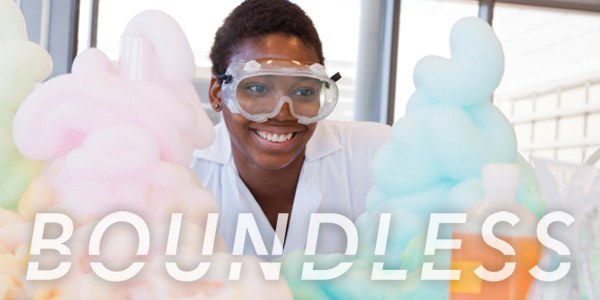 The South Carolina Transfer Articulation Agreement identifies 86 courses guaranteed to transfer among and between public colleges and universities within South Carolina. A list of South Carolina two-year public college courses, including these 86, which have been identified as transferable to College of Charleston is available at http://registrar.cofc.edu/transfer/transfer-from-sc-schools.php. Additional information about transfer of courses to the College of Charleston from other South Carolina colleges/universities is available on-line through SC TRAC (http://www.sctrac.org). Information on SC TRAC may not be current for all institutions. 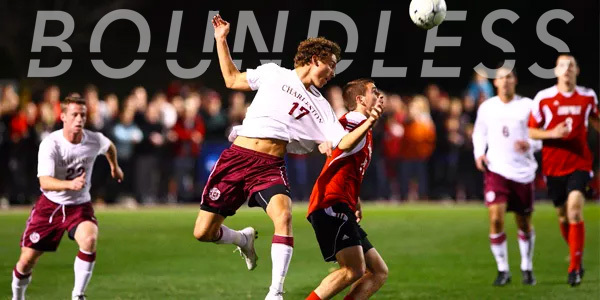 The information on SC TRAC is informational and does not replace an official transfer credit evaluation which is completed after an applicant has been accepted to the College of Charleston. 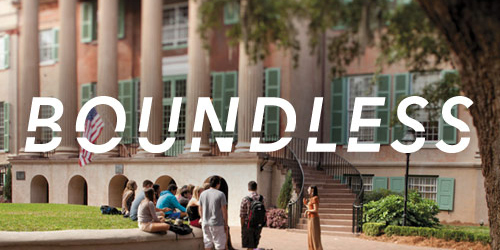 Except when the College of Charleston has a formally recognized transfer articulation agreement with another institution, regardless of the student’s citizenship, students with course work from a college/university outside of the United States must submit official transcripts (mark sheets, academic records), with English translations, to a recognized credential evaluation agency for verification and a course-by-course evaluation. 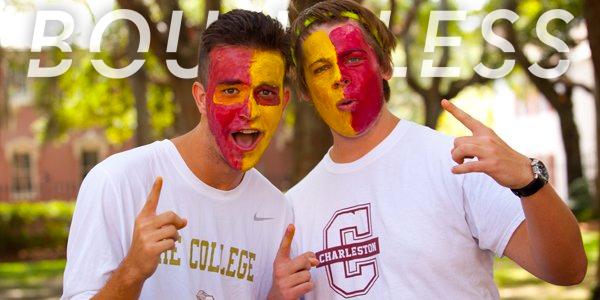 In addition students must submit English translations of course descriptions to the College of Charleston. Responsibility for the translation and evaluation of documents in order to meet deadlines, as well as all costs associated with these services, is the responsibility of the student applying for admission. Please allow 2-4 months for completion of these requirements. Once the course-by-course evaluation from an external credential evaluation agency, and English translations of course descriptions, are received by the College of Charleston, evaluation of an admitted student’s course work can begin for potential College of Charleston transfer credit. For specific international admissions criteria and necessary materials, as well as a link to a list of preferred external credential evaluation agencies, go to http://admissions.cofc.edu/applyingtothecollege/international-students/index.php. The College awards credit for Advanced Placement (AP), International Baccalaureate (IB), selected Cambridge International Exams (A Level and AS Level) and many College Level Examination Program (CLEP) exams, based on the student’s scores. AP, CLEP, Camdbridge International, and IB exam results must be sent directly to the College of Charleston for credit evaluation. Credit cannot be transferred from another college or university transcript. Likewise, credit will not be awarded for individuals sitting for AP exams after graduating from high school. Credits awarded by exam score can be viewed at http://registrar.cofc.edu/transfer/credit-by-exam.php. The Advanced Placement (AP) Program of the College Entrance Examination Board is accepted at the College of Charleston. Students who have taken college-level courses in secondary school and have achieved a score of 3, 4, or 5 on an AP examination will be awarded advanced placement credit. No more than six to eight credit hours will be granted in any one exam. The College of Charleston’s placement tests and departmental interviews may be required for final awarding of credit. More information about credits awarded by exam score can be viewed at http://registrar.cofc.edu/transfer/credit-by-exam.php. Students who have taken college-level courses in secondary school and who have achieved a score of 4, 5, 6, or 7 on a higher-level (HL) International Baccalaureate (IB) examination will be awarded credit. More information about credits awarded by exam score can be viewed at http://registrar.cofc.edu/transfer/credit-by-exam.php. The CLEP Subject Examinations accepted by the College of Charleston for credit and placement are listed on-line at http://registrar.cofc.edu/transfer/credit-by-exam.php. The passing grade for each examination will be the score recommended for credit by the academic department at the College. When the credit is given, the student’s record will show that the credit comes from a CLEP examination. No native speaker of a language other than English will be awarded foreign language credit for proficiency in his or her first language. NOTE: Senior year residency policies apply to CLEP exam credit. Please see information in the Courses Taken Elsewhere section. Credits awarded at another institution as a result of placement testing are not acceptable for transfer to the College of Charleston. To fulfill the language requirement, entering students may take any language other than English offered by the College. However, students who wish to continue a language studied in high school or elsewhere must take a departmentally-approved placement exam in the language. The placement exam score determines the level at which the student will continue his or her study of the language. Additional information regarding language placement tests can be found by visiting http://orientation.cofc.edu/placement-testing/index.php. Note that students of Spanish do not take a placement exam, rather are placed according to their years of high school study of the language (see http://spanish.cofc.edu/undergrad-progs/placement-guidelines.php for placement procedures). Transfer students with college credit in a foreign language who wish to continue in the same language will be placed into the appropriate level in that language, based on their transcript. Transfer students with college credit in a foreign language who wish to continue in a different language may take the placement exam if they wish to study any language offered by the College of Charleston except for Spanish. Those who wish to take classes in Spanish will be placed according to their previous study of Spanish. Students who present two or more years of high school study in a language other than Spanish and who do not place in the LANG 102 course or higher may take the LANG 101 course, but may want to consider starting a new language. Students who place in a 300-level course will have satisfied the College’s minimum degree requirement in languages. (French, German, Italian, Spanish) Score of 4 or 5 = six credit hours for 202 and a higher level course (FREN 390 , GRMN 390 , ITAL 390 , SPAN 275 ); score of 3 = six credit hours for 201 and 202. A score of 3 or higher fulfills the general education foreign language requirement. (French, German, Spanish) Score of 4 or 5 = six credit hours for 202 and 300-level literature course (FREN 321 , GRMN 365 , SPAN 320 ); 3 = six credit hours for 201 and 202. A score of 3 or higher fulfills the general education foreign language requirement. (All forms): Score of 4 or 5 = six credit hours for LATN 202 and LATN 390 ; score of 3 = six credit hours for LATN 201 and LATN 202 . A score of 3 or higher fulfills the general education foreign language requirement. Classical Greek (Higher Level exam only): IB Score of 4 = three credit hours, for GREK 201 ; IB Score of 5, 6, or 7 = six credit hours, for GREK 201 and GREK 202 . French B (Higher Level exam only): IB score of 4 = six credit hours, for FREN 101 and FREN 102 ; IB score of 5 = nine credit hours, for FREN 101 , FREN 102 , and FREN 201 ; IB score of 6 or 7 = twelve credit hours, for FREN 101 , FREN 102 , FREN 201 , and FREN 202 . German B (Higher Level exam only): IB score of 4 = six credit hours, for GRMN 101 and GRMN 102 ; IB score of 5 = nine credit hours, for GRMN 101 , GRMN 102 , and GRMN 201 ; IB score of 6 or 7 = twelve credit hours, for GRMN 101 , GRMN 102 , GRMN 201 , and GRMN 202 . Latin (Higher Level exam only): IB Score of 4 = three credit hours, for LATN 201 ; IB Score of 5, 6, or 7 = six credit hours, for LATN 201 and LATN 202 . Spanish B (Higher Level exam only): IB score of 4 = six credit hours, for SPAN 101 and SPAN 102 ; IB score of 5 or 6 = nine credit hours, for SPAN 101 , SPAN 102 , and SPAN 201 ; IB score of 7 = twelve credit hours, for SPAN 101 , SPAN 102 , SPAN 201 , and SPAN 202 . A student with a score of 6 or 7 on the Higher Level IB exam in Classical Greek, French B, German B, or Latin has satisfied the general education foreign language requirement. A student with a score of 7 on the Spanish B Higher Level IB exam has satisfied the general education foreign language requirement. Students may receive language credits in the form of transfer credits from a college or university or based on their scores on an AP or IB test. No credits will be received based on individual college/university placement tests. Students with scores of 4, 5, 6 or 7 on French A1, German A1, or Spanish A1 exams receive three credit hours of: FREN 321 , GRMN 365 , or SPAN 333 respectively. Language credit is not awarded for language “A1” exams. A degree candidate at the College of Charleston who wishes to receive College of Charleston credit for courses at another institution must submit the appropriate Coursework Elsewhere form available on the Forms page of the Registrar’s Office website (http://registrar.cofc.edu/forms/index.php). The senior year of work for the degree must be completed in residence at the College of Charleston. However, candidates who have earned a minimum of 30 credit hours at the College of Charleston may petition to complete up to 7 of their final 37 credit hours at another institution or by CLEP exam by submitting the Coursework Elsewhere during Senior Year Petition Form (Senior Petition), available on the Forms page of the Registrar’s website (http://registrar.cofc.edu/forms/index.php). In order to ensure that the courses will be accepted at the College of Charleston for transfer credit, they must be approved in the Registrar’s Office before actual enrollment. To be eligible for transfer credit, courses must be taken at an institution that is regionally accredited and must be courses that would receive credit towards graduation at the other institution (i.e. not developmental courses). Duplicate courses (repeats) will not transfer. Official permission to take coursework elsewhere is reflected on the student’s unofficial transcript in MyCharleston as a College of Charleston course with a grade of “PT” (pending transcript). Students should note that permission to take the requested course(s) is not confirmation of how/if the course(s) will fulfill degree requirements. Permission only confirms the College of Charleston course equivalent(s) approved by the faculty. Students should therefore pay close attention to the way the course has been approved for transfer credit, verifying the approved College of Charleston equivalent is what he/she desires and/or the course is not a repeat of already earned credit (see Course Repetition Policy ). Students should also be aware that a course “Under Evaluation,” “Needs Syllabus,” or “Needs Course Description” is not guaranteed to transfer. 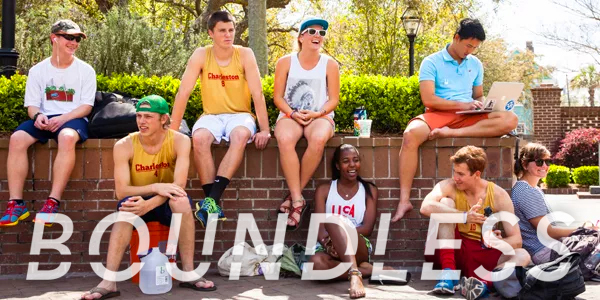 Unofficial transcripts in MyCharleston should be checked periodically for updates that will be posted after an evaluation of the course for potential transfer credit has been completed. Once coursework elsewhere permission is posted on the unofficial transcript, students should send the Transient Permission form (available on the Office of the Registrar’s website) to the institution where the course will be taken, if proof of permission to register as a transient student is required by the institution. A printed copy of the Degree Works degree audit and/or unofficial transcript, showing the courses approved for transfer, should be attached to the Transient Permission form. Students should contact the Division of Student Affairs, Office of the Dean of Students, at 843.953.5522 if the other institution requires the submission of a Letter of Good Standing. Acceptance of credit for an approved transfer course will become final only when the Registrar of the College of Charleston receives an official transcript of the student’s record from the accredited institution where the course was taken. A final transcript is required from each college or university attended, whether or not credit was earned or courses completed. Failure to provide information regarding each college or university attended or failure to submit transcripts may result in restrictions on registration and/or dismissal from the College. For study abroad, students must apply through the Center for International Education (CIE). The Course Approval form is available from the Center for International Education for this purpose. The College of Charleston requires the relevant academic program director (or director’s designee), or the relevant dean (or dean’s designee) for a discipline or interdisciplinary program not currently represented at the College, to determine the suitability of course credit earned elsewhere for transfer to the College. Disputes over transfer credit determination may be appealed in writing to the Provost (or the Provost’s designee) no later than 15 days following receipt of the transfer credit evaluation. The decision of the Provost is final. A final transcript is required from each college or university attended, whether or not credit was earned or courses completed. Failure to submit transcripts may result in restrictions on registration and/or dismissal from the College. Once the transcript is received from the institution abroad upon completion of the work, the Registrar’s Office verifies and enters the credits as noted above. Students with more than 87 earned credit hours at the time they study abroad must seek approval from the Center for International Education and the chair of their major department if more than 7 of the last 37 credit hours are taken away from the College.